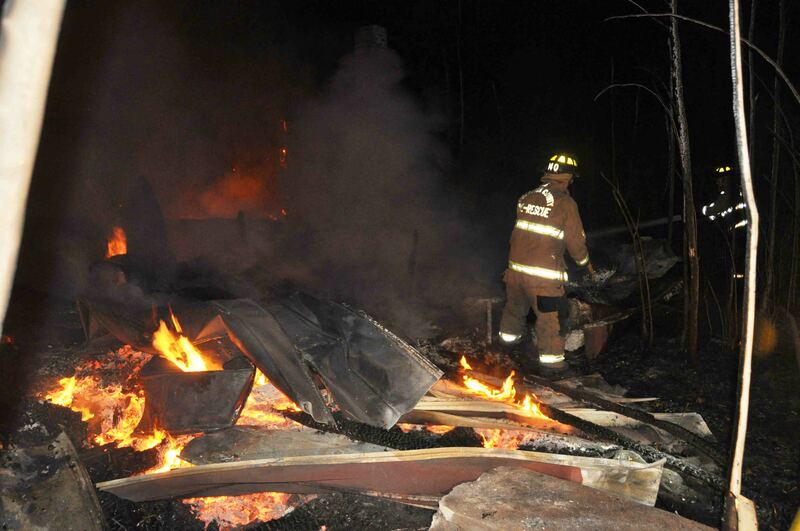 A vacant single story residence was completely destroyed Wednesday morning 29-August. 9-1-1 operators received a report of the building fire at 01:30 advising the building was well involved. Engine 18 arrived within minutes reporting the older wooden structure had already collapsed and was on the ground. Engine 18 deployed two 1-3/4 handlines and one booster line to extinguish the fire. Click here for more information. 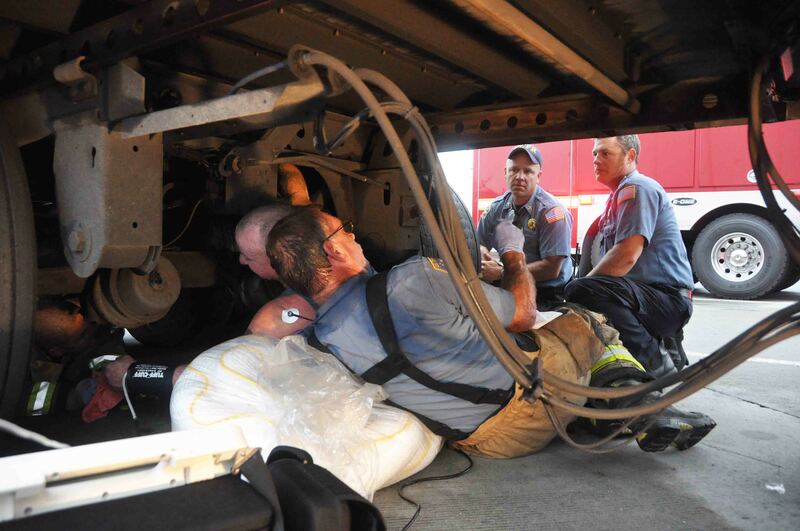 A truck driver had to be extricated from under his trailer Tuesday afternoon, after his hand became pinned in a locking mechanism. The device locked the trailer wheels in place on a sliding track. The incident was reported at 17:35 at the northbound rest area, truck parking section near the 47 mile marker on I-95. The driver was attempting to adjust the sliding rear axles, when his hand became entangled..click here for more info. A 21 year old man is in critical condition following a shooting incident at 205 Bailey Street in the City of Walterboro. Public Safety Officers cleared the scene to allow Firefighter-Paramedics to treat the man. He was found lying in the driveway with a single gunshot wound to the back. 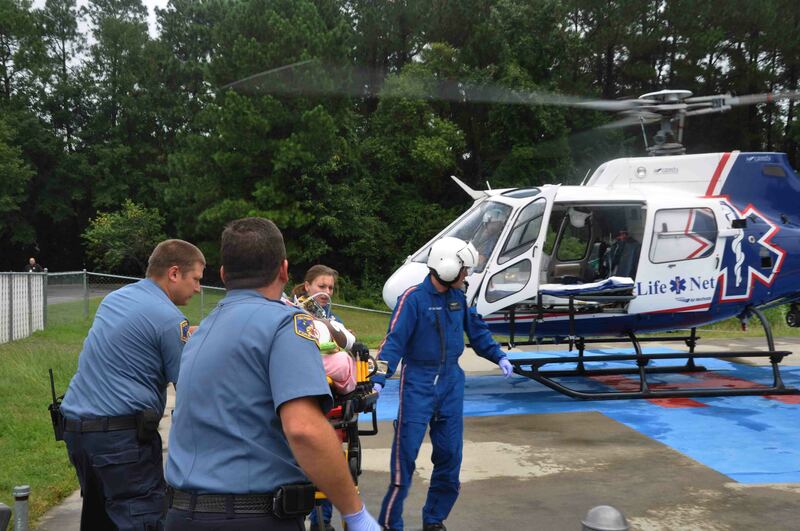 Crews quickly treated the man at the scene, then rapidly transported him directly to the helipad at Colleton Medical Center...click here for more info. 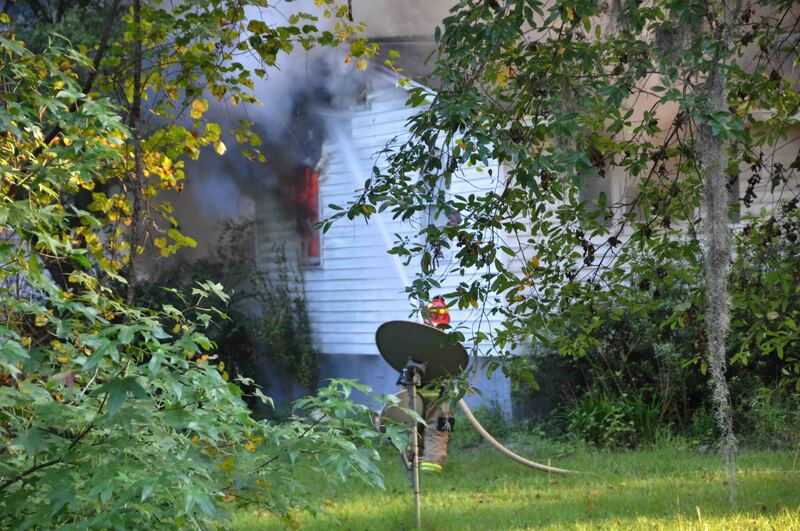 Fire-Rescue responded to a well involved house fire at 4908 Cottageville Highway Saturday afternoon at 18:47. A passing motorist called 9-1-1 to report smoke coming from the home at that location. Firefighters arrived eight minutes later to find heavy smoke conditions with fire coming from the windows at the B/C corner of the residence. Click here for additional information. 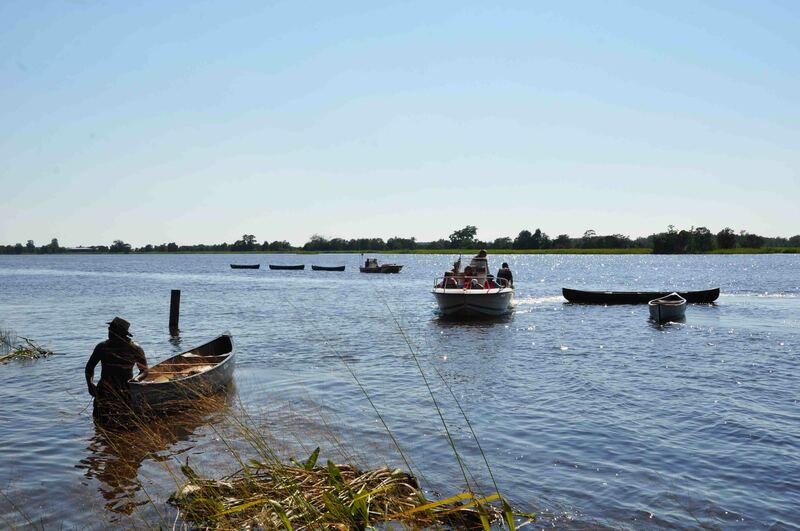 Fire-Rescue and the Sheriff’s Office rescued eighteen boy scouts and the adult leaders on the Edisto River Saturday afternoon 25-August. 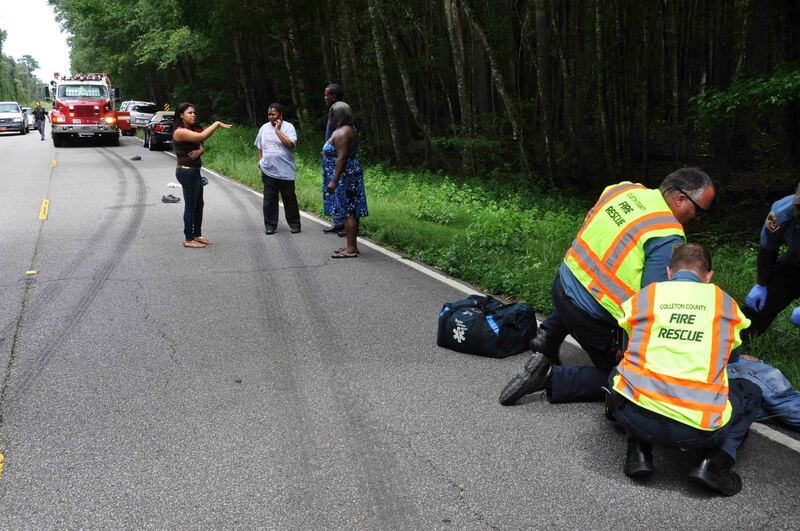 A 9-1-1 call was received at 14:15 Saturday reporting the group of eighteen (six adults and twelve children) was stranded on the Edisto River somewhere near the Dawhoo Cut. Click here for additional information. Fifteen Colleton Firefighters completed the SC Fire Academy’s forty hour Hazardous Materials Technician Training Program during August. The specialty training is provided at Fire-Rescue Station # 19 in the Industrial Area. The class covers a multitude of material preparing the students to recognize potential threats and how to safely mitigate the emergency. Click here for additional information. A 47 year old Islandton man was trapped in his car following a single vehicle accident in the 4000 block of Rum Gully Road Friday morning 24-August at 11:05. The northbound car left the roadway crashing into the Rum Gully, a canal which crosses under the secondary road. 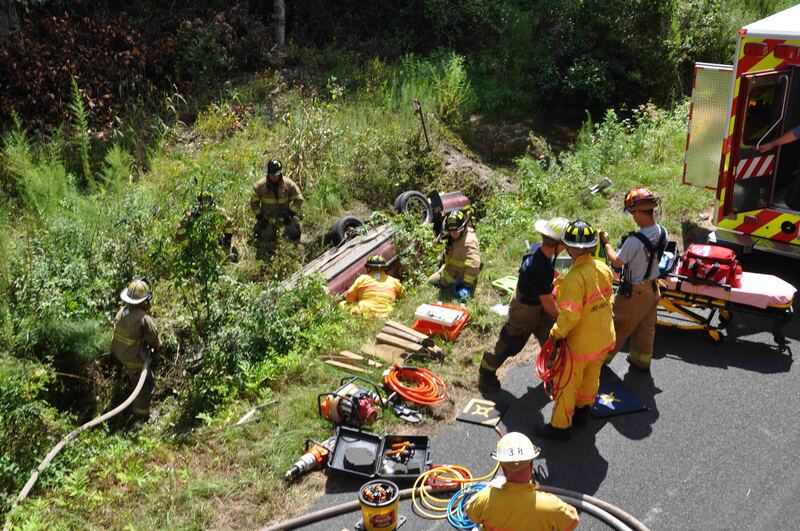 The car flipped upside down in a deep ditch that feeds into the canal, trapping the man inside the car. Click here for additional information. Congratulations to Firefighter-EMT Leon Bryan, Firefighter-EMT Jeff Laney and Firefighter-EMT Shane Weber for successfully completing Emergency Medical Technician Training. All three obtained National Registry Certification this month. A Walterboro man is in custody after Deputies apprehended him following a suspected arson fire at 152 Candlelight Road. According to witnesses, shortly before 12:50, the man was involved in a domestic dispute at his home. He poured gasoline over the stove, then set it on fire before fleeing the scene. 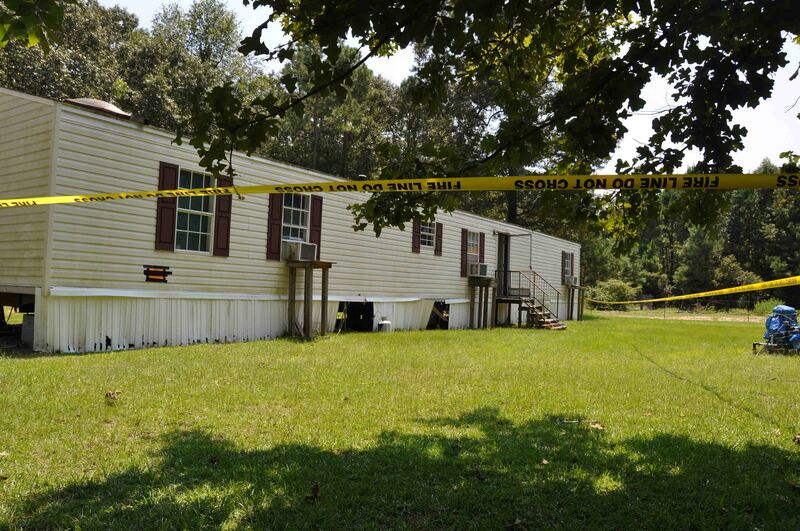 His family, including several children were inside the residence...click here for more information. Funeral services for Retired Fire Chief Errol Stynchcomb, will be held Wednesday morning at 11:00 in the Black Creek Baptist church located at 4931 Black Creek Road west of Hendersonville. The burial will follow in the church cemetery. The family will receive friends beginning at 10:00 that morning in the church sanctuary. Flowers will be accepted or memorials may be made to the church. It is with great sadness that we report the passing of Retired Fire Chief Errol Stynchcomb. He passed away at his home this morning at approximately 02:30. Chief Stynchcomb was one of the original fifteen founding firefighters, who established the Colleton Rural Fire Department (Colleton Volunteer Firemen’s Association) in 1968, after the City of Walterboro stopped responding to calls outside of the City Limits. As the organization grew, he established a sub-station in the Hendersonville Community which became the Hendersonville Volunteer Fire Department or District 8 of the Colleton Volunteer Firemen’s Association. In his full-time career, he served as Fire Chief of the Navy Shipyard Fire Department in Charleston until his retirement in the 1990s. He retired from Fire-Rescue in March of 2003, after serving over 3-1/2 decades as a volunteer firefighter and Chief. Chief Stynchcomb was 73 years old. We have been informed that Parker-Rhoden Funeral Home will handling the arrangements. We will pass these along as soon as they are available. Please remember the Stynchcomb family in your prayers. It is with sadness that we report the passing of longtime Jasper County Firefighter-Paramedic Joey Smith. Many of you have donated funds to assist with his medical bills over the last few months. He served in many positions with Jasper County Fire-Rescue. Prior to employment with Jasper County, Joey was a Firefighter-Paramedic with Hilton Head Fire-Rescue. His family is appreciative of the support from the Colleton County personnel. Please remember them in your prayers. Visitation will be held Tuesday, 14-August at 11:00 at the Coosawhatchie Baptist Church on Highway 462 off of US Highway 17 near Exit 28 in Jasper County. The Funeral will be held at the same location at 12:00. A 61 year old man was killed after walking into the path of a tractor trailer on Hendersonville Highway (US Hwy 17-A) north of Jonesville Ave Friday afternoon 10-August at 14:53. Witnesses reported the man was walking southbound on the shoulder of the highway, when he turned left and walked in front of a southbound Kenworth Truck. Click here for additional information. A kitchen fire cause moderate damage to a mobile home located at 108 Pintail Lane Friday afternoon 10-August at 14:04. 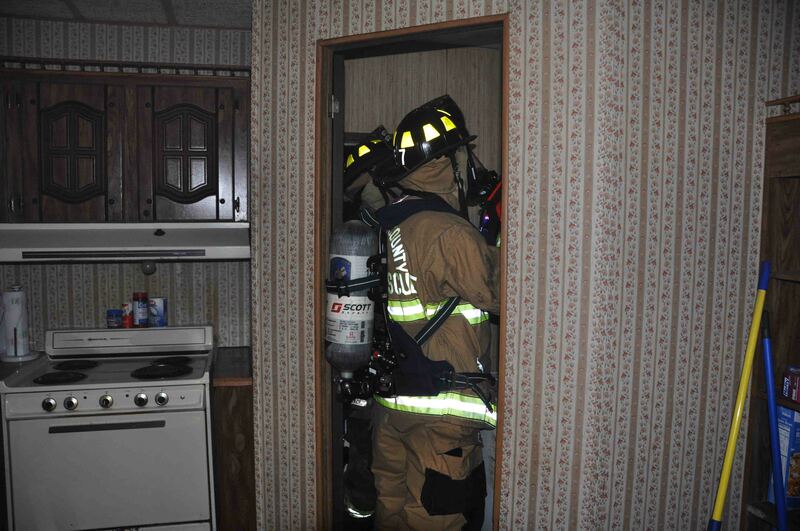 A teenager at the home advised she was cooking and apparently left a pot of grease on the stove. 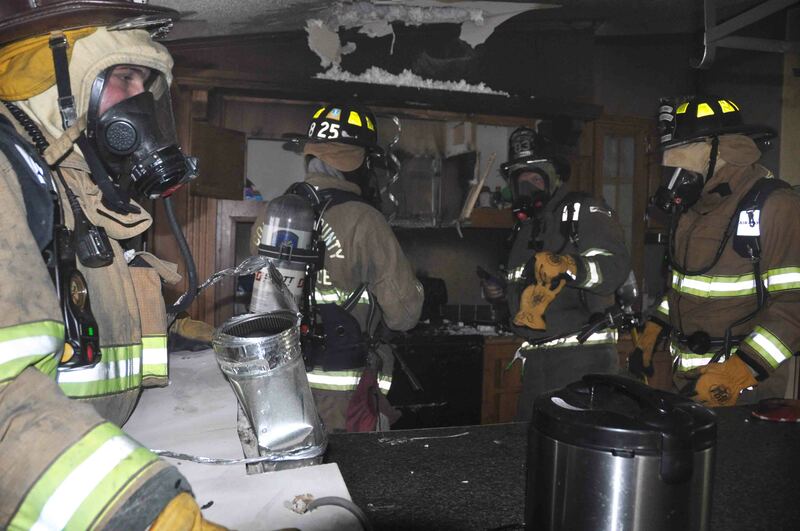 The fire spread to the cabinets and wall behind the stove. The teenager was alerted to the fire by the home’s smoke alarms and was able to notify 9-1-1 quickly. Click here for additional information. A NFPA Firefighter II course (South Carolina Fire Academy Course 1154) will be held starting on September 10, 2012 at Station 19. This class is in danger of cancelling due to insufficient enrollment. 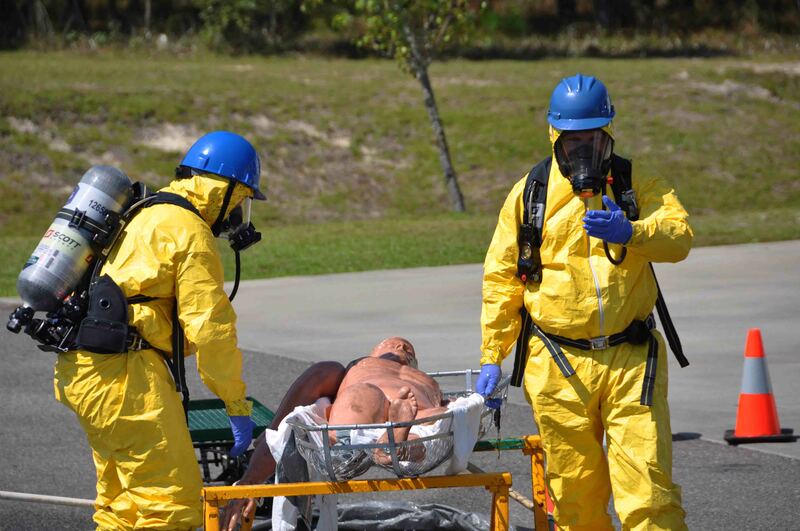 The pre-requisites for this course are NFPA Firefighter I (Course 1153), and Auto Extrication (Course 3330). If you are interested in attending this course, please contact the training division (538-6849) as soon as possible. A small fire in a utility room was quickly extinguished Sunday evening 05-August. The incident was reported at 21:46 advising of a fire in the laundry room of a home located at 593 Woodmeadow Drive. Engine 19 arrived to find smoke coming from the singlewide mobile home. Firefighters entered the building through the front door finding the fire in the small room off of the kitchen. Click here for more information. 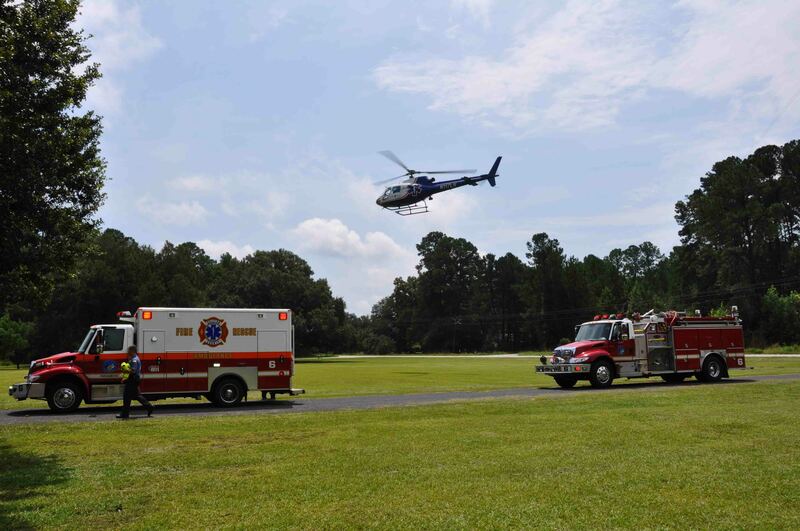 A 41 year old man was critically injured in a single vehicle accident on Charleston Highway west of Jacksonboro Road Friday morning 03-August. At 11:34 during a thunderstorm, an eastbound wheelchair van was approaching a curve on Charleston Highway near the Bethel Cemetery, when a medium sized oak tree fell into the roadway. Click here for additional information.